Most of the recent ones tell you how make terrain for nids, cuz of the new...well....nids! Lobster, er i mean crab claws man. Yeah crab claws. And you get a yummy dinner out of the deal! 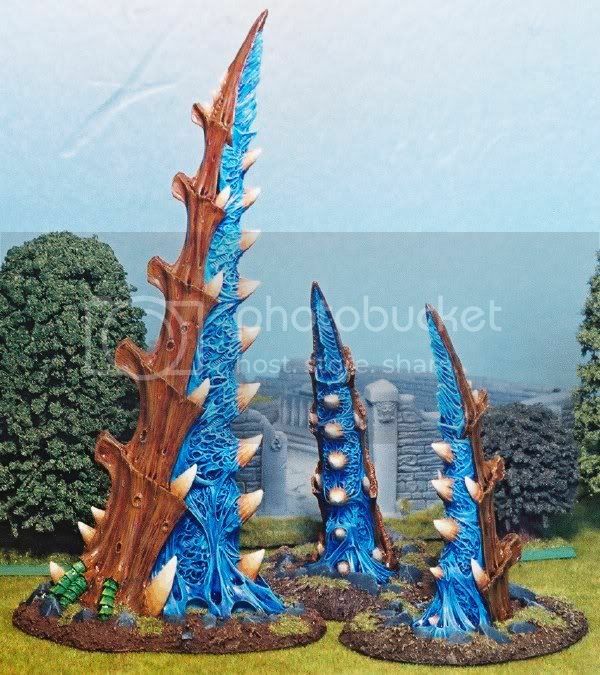 In the french white dwarf (I expect it is in the other WDs as well) they have a guide to making spore chimneys that look....reasonable. And rather cheap as well. The new US Black Gobbo has the digestion pool.